Your TENS machine will be delivered just before you are 37 weeks. 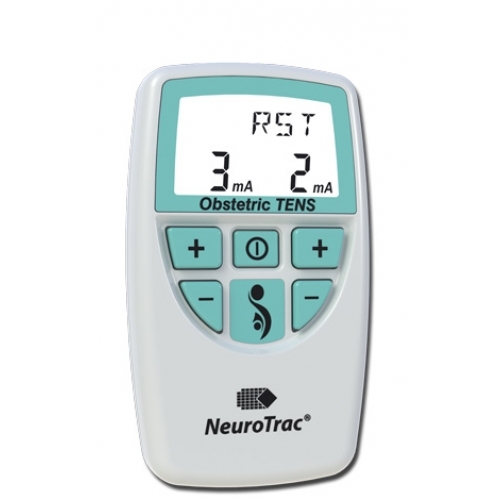 The Neurotrac Labour TENS machine is designed to support, comfort and help you gain control during labour Easy to use, Light and portable Single or Dual channel use. Booster button for extra support during strong contractions Pain Management putting you in control. Safe for mother and baby. Can be adapted to your birth plan. The Neurotrac Labour TENS machine is ideal for providing support and comfort during labour, helping you feel in control every step of the way - contraction after contraction. The unit is operated by 2 channels (a + b) which connects to 2 lead wires. Each lead wire supports 2 electrodes which can either be used separately or together. When in use you will feel a tingling sensation which can be increased/decreased to a comfortable setting. The Booster button should be used during contractions to increase the intensity of the TENS.During a contraction the booster button when pressed will set the TENS into HIGH frequency stimulation providing extra support during a contraction, once the contraction has subsided the booster button should be pressed again to set the TENS unit back to the rest mode setting the machine back to a LOW stimulation. 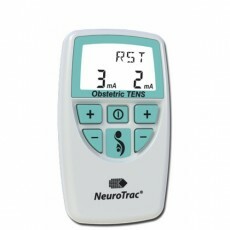 The TENS has been proven to be the most effective from the onset of labour and for up to 2-3 hours after birth. The TENS machine is also very effective in helping with after pains which is experienced shortly after birth. The TENS machine is proven effective in over 80% of births. We'd love to hear your story once you've used our machine too. It was so nice to have something I could control myself. It all helps!! Fantastic 1st class service. I found the tens machine to be an absolute godsend and managed to use this alone right up to the very end.